This is a guest post by Bentley Hall, CEO of Good Eggs. This morning, I awoke to a flurry of push notifications, emails and text messages: Whole Foods had been bought by Amazon. Woah. This was big. And our team and our community had questions. A lot of them. My response to the team is posted below, in its entirety. With one exception…References to some confidential, key strategic projects have been removed. Today, Amazon decided to buy Whole Foods for $13.4 billion (a 27 percent premium to its share price). You can read more in the NY Times article here. A fascinating development and not what I expected to wake up to on this sunny Friday morning. I imagine some of you are wondering what it means for us and for the grocery industry. I wanted to share my transparent thoughts and invite you to join me in an open dialogue. Overall, this is great news for Good Eggs. This validates our original vision. Groceries are the largest retail industry in the US — almost 6 percent of GDP. We know it is going online over time, but today, less than 5 percent of groceries are purchased online. The US is far behind other international markets. Something was bound to change. This will not be good for all. Traditional retailers like Kroger, Sprouts, and Target that are chained to big box stores have already seen their stocks crash by 4–15 percent today. To thrive, the smart ones will adapt and aggressively pursue a strong, online grocery partner. It will be interesting to see what Amazon plans to do with those 450+ Whole Foods stores. Multi-channel retail is about to change, again. Instacart is at risk of losing one of its largest partners (Whole Foods). What happens if it ends up left with primarily mass merchants and become more dependent on ad revenue? 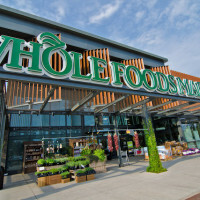 UNFI is the primary distributor for Whole Foods. It may have just lost its largest customer. Its stock is down by 10 percent. Caveat: Yes, the deal could be blocked by the government (antitrust) or fall apart in due diligence. But regardless, this is a huge deal. The long term implications are likely to be profound and lasting. We want to reinvent your food system, for good. At Good Eggs, this mission is why many of us jump out of bed everyday. Now, health(ier) food will be as convenient as conventional junk food. Nationally. For the first time ever. Amazon is a customer-focused, logistically-minded, data and e-commerce expert. Whole Foods is a respected food brand and pioneer in natural. That is a fierce competitive combo. The game is on and I am honestly excited and honored to compete against such a worthy new opponent. Whole Foods and Amazon will spend the next couple years integrating their radically different models and teams. During this period, we will remain undistracted. We will stay laser focused. All of the hard work from the last 6 years has prepared us for this very moment. Today, we maintain our vision, and we double down on everything we are already doing. We hold our course. We are dreamers who do. We stay true to who we are. We keep listening to our customers. We don’t let the competitive noise drown out their wants and their needs. They guide the way. 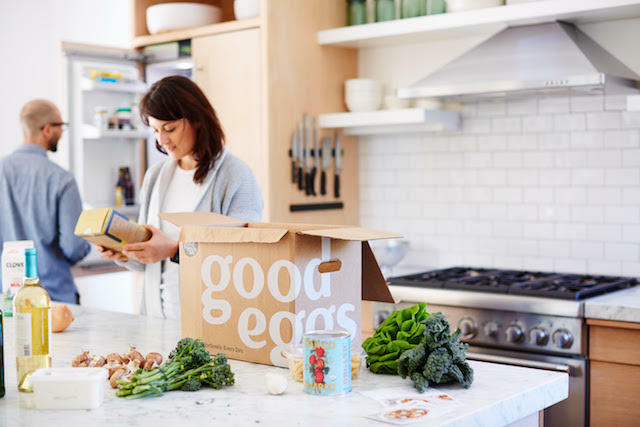 We are the only company that offers a complete bounty of absurdly fresh groceries, affordable staples, easy weeknight dinner kits and of course, wine to wash it down. Eighty percent direct from local producers (compared to less than 1 percent for Amazon and less than 15 percent for Whole Foods). Delivered directly to your door. Same day. We stay nimble and we continue to execute this flawlessly. We own absurdly fresh. Produce picked yesterday. Fish that was caught while you slept. Bread baked this morning. Whole Foods + Amazon can’t touch our expertise here. We know how old & tired their perishables really are and how far away they were really grown. Within the world of groceries, we have proven that we can do this complex operational dance more profitably and more reliably than almost anyone else (especially within fresh). In the next few weeks, a story will emerge to the public that unveils some of these proof points. Let’s triple-down on curation. Unlike other markets with miles of aisles, we believe less is more. Does anybody really need 542 kinds of sliced bread to choose from? We stay committed to great customer service, built around people, not bots. We will continue hiring the right team and giving them real equity. We strengthen our values as others dilute theirs. We will build the highest food and labor standards in the industry. Note: References to some confidential projects have been removed from this section. People love the underdog. They rally around it. And guess what? We are the real deal. We don’t have to fabricate a word. We have so many stories worth telling. Let’s stand tall, with a strong voice and share our point of view. We have a front row seat as the grocery and food world transforms before our eyes. Let’s recognize how fortunate we are to have an opportunity like this. Let’s take advantage of this once in a lifetime moment, roll up our sleeves and continue working to fulfill our mission, for good. This post also appears on Good Egg’s blog. Bentley Hall is a driven entrepreneur who helps emerging, mission-driven food brands scale. After spending time with Johnson & Johnson and Clif Bar, he joined the very early executive team at Plum Organics. In less than 7 years, Plum grew to become the largest organic baby & kids food company in the US. In 2012, it was acquired for $250M by the Campbell Soup Co. Currently, he is the CEO of Good Eggs and an investor and board member of two, high-growth, early stage consumer companies.